Welcome to the CCORT Pulse! The goal of this newsletter is to provide an up-to-date source of information to key stakeholders and researchers about the latest CCORT activities, publications and events. 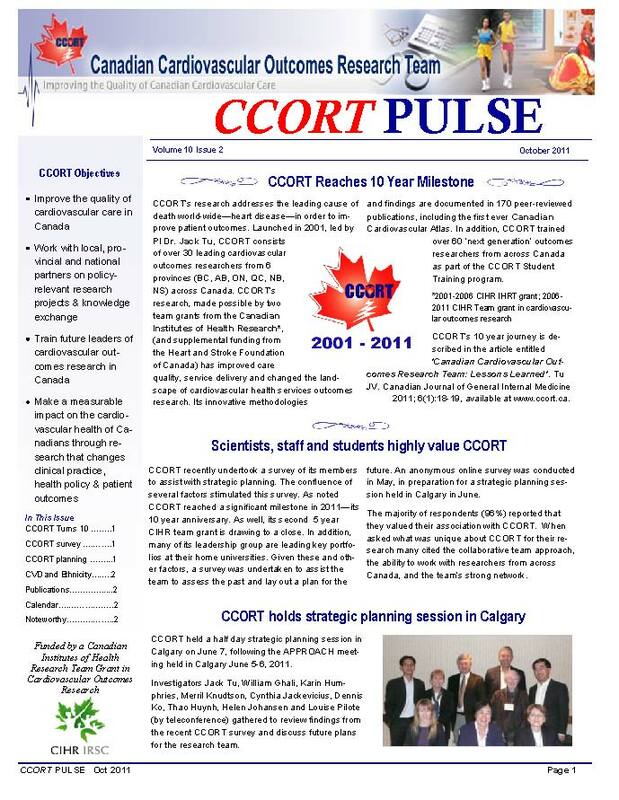 You may register to automatically receive this newsletter on the CCORT website: www.ccort.ca. Please send us any ideas for contribution/content.